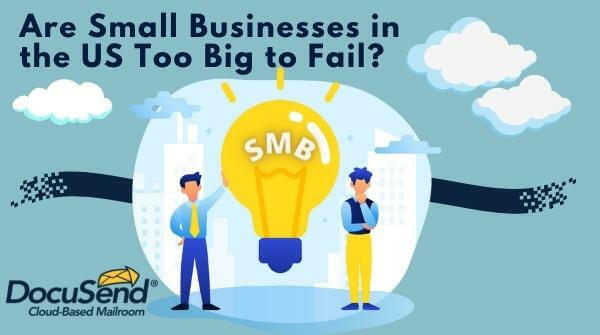 Are Small Businesses in the US Too Big to Fail? Chances are YOU are right at the heart of the economy. Want to know why? If you finish reading this, chances are it's because you are one of the 28 million small business owners in the US today or are at least associated with one at a high level. That makes you the very backbone of American commerce and places you at the heart of the US economy. ✔ In 2015, there were 30.2 million small businesses in the US compared to only 19,464 large businesses: that’s more than 1550 to 1. ✔In the same year, small businesses employed 47.5% of the country's private workforce. ✔ It still only takes an average of 6 days to start a business in the US, compared to a whopping 38 in China. ✔ As of 2016, the top fastest-growing states for women-owned firms were Florida, Georgia, and Texas. Women are now the majority owners of 38% of US businesses. ✔ In 2012, there were 2.5 million veteran-owned businesses. ✔ Almost 66% of all new jobs come from small businesses. ✔ Small businesses (defined as businesses with fewer than 500 employees) account for 99.9% of all business in the US. That's an enormous number. And this just brushes the surface of how important we are to the future of this country. Want more? See the link at the end of this article. Bottom line, if these statistics don't highlight the enormous importance of small businesses in the US, nothing will. Small businesses are ''too big to fail'' because our economy will collapse without us. Yet many owners feel large businesses receive more support from the people we elect to provide us with a level capitalistic playing field. About two-thirds of all startups fail within ten years. I have searched for a common thread among the business owners I have known over the years, some shared attribute that drives them. Personality traits, IQ, emotional intelligence, aggressiveness—I have never found anything I can be sure of. We are all just as unique and diverse as the very businesses we operate. So let’s get back to playing on a level field as our constitution intended. I think there are many ways to do that, but critical thinking requires information gleaned from the amazing diversity small business owners bring to the table. That’s why we’re asking you to share your experience and how it may help others succeed. After all, if we don’t support each other, how can we expect anyone else to? So, please provide your comments and/or links to other small business articles that you find interesting regarding the question at the end of this article. So, that's my personal take. I don't have all the answers, nor do I pretend to. But I can share with you my deep-seated passion to help small businesses grow. It's embedded in my DNA, and I would not begin to know how to get rid of it. I've been told it's why I always root for the underdog. I've had many challenges in supporting small business in my career, but my most successful is DocuSend. 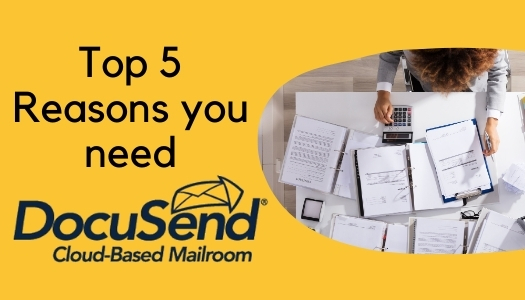 It is an amazing cloud-based mailroom technology that provides an immediate ROI to any small business that distributes documents. And that includes the vast majority of the 30-plus million small businesses in the US today. This is what small businesses need and want: an immediate ROI. You don't gain your investment back over time, because there is no investment. Upload an invoice file to DocuSend, and you have just saved more than 50% over manually mailing them. Do you think small businesses get the same support from your government representatives that they provide to large corporations?